Links to sites and discussions regarding behavioral issues: ADHD, bullies, aggressive behavior, etc. Re-purpose the long ago learned words "Stop, Drop, and Roll" into a calming down technique for you as you deal with your sons. Familiar words will make this technique second nature from the first time you use it! High-intensity boys can present special challenges to their parents. This technique can help you assist your son with recognizing when he is becoming too intense, and can help him recall some of his energy to an appropriate level. Boy behavior can be very hard for a mother to understand. In the final analysis, all a mother can do is to sit back and enjoy the ride. Having boys is wonderful, but one aspect of mothering boys that is decidedly un-wonderful is cleaning their bathroom. In order that you might not be shell shocked when you encounter potty trained sons for the first time, read this article for tips on boy bathroom maintenance. 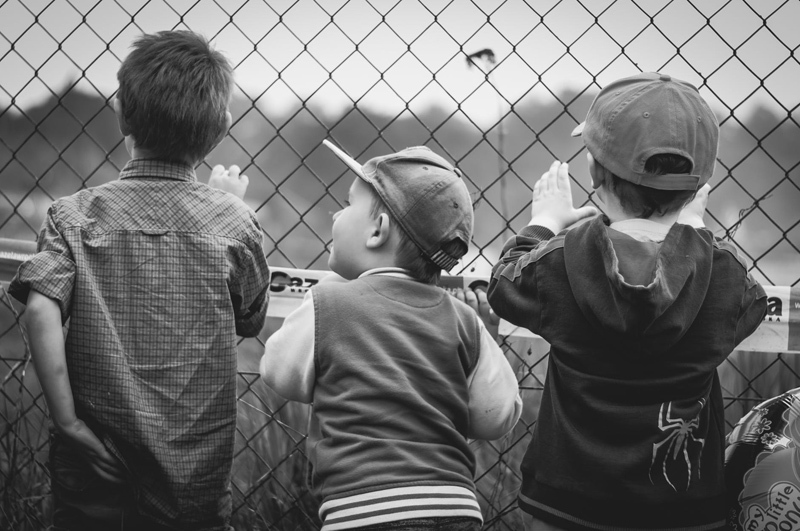 Whether you have a very young son in play group, an older son in Boy Scouts, or any age son in any kind of group, being aware of the dynamics of these groups will help both you and your son navigate these sometimes hazardous social waters. For some mothers, back-to-school means finding out that a teacher suspects ADHD in their sons. Here are some ideas for what to do next. Living purposefully can change your days from guilt-filled to pure satisfaction and enjoyment. If you come to the end of the day and reflect on your accomplishments only to find yourself wanting, join the club. If you join that club, though, be sure to read this article on one way to make sure that you can count each day as a success! Figuring out what is considered good manners in today's society can be challenging. What should you expect of your son? When you fall off the wagon, you have two choices: you can sit on the ground and look around, bewildered, wondering what went wrong. That can take a long time. For some people, it can take the rest of their lives. Or, you can get back up and resume the journey. Should I Let My Son Drink Coffee? Especially with the proliferation of coffee shops on every corner, many parents may wonder how old their son should be before they allow him to indulge. This article may help you answer that question. A BellaOnline.com article discussing the commonly-held belief that boys are/should be aggressive. Holiday get-togethers can be stressful events for moms of sons, but they don't have to be. With a little advance preparation, holiday gatherings can be fun for you and your son! Having your son stare at someone can make you as a parent uncomfortable, but once you understand that staring is age-appropriate behavior, you can use your son's staring as a teaching moment. Good sportsmanship is a skill a boy often needs to be taught. Once the lesson is learned, it will serve him well for the rest of his life. In some key ways, boys are very different from girls. If you're a mom of boys, these ways will be very familiar to you! Recent events in the news have made some parents wonder if it is normal for their sons to dress up in girls' clothes. Psychologists agree that such behavior is completely normal, and is even complimentary of your parenting style. Self esteem is a word that parents hear constantly. Is it possible that we worry about the wrong things when it comes to self esteem? This content was written by . If you wish to use this content in any manner, you need written permission. Contact Laura Delgado, Ph.D. for details. Join us in the Sons Forum for more information and fun! Subscribe for free weekly updates from this Sons site.